Keep a “nose out” for that fragrant aroma in our parking lot! 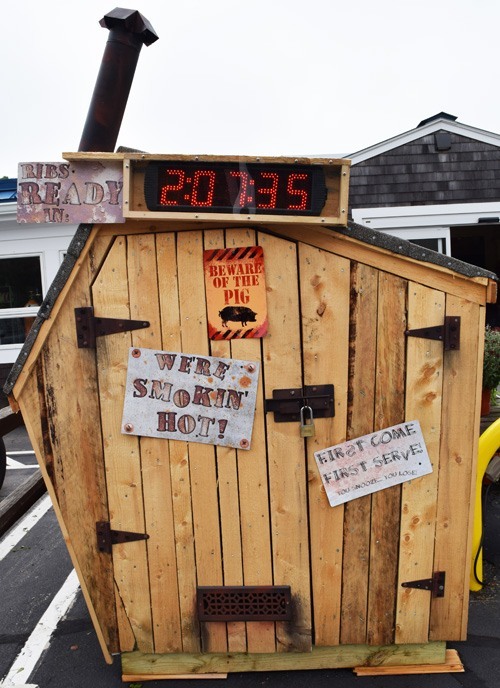 That unmistakable smell of freshly smoked ribs from our new smoke shack! We will be freshly smoking a limited number of ribs using a choice selection of woods. They will be available to grab-&-go in our rotisserie, while supplies last, at 12:30 a.m. on Fridays, Saturdays and Sundays. DON'T MISS OUT! Whether you're tailgating, entertaining, or just craving some good ol' smoked ribs, these are sure to be a hit!